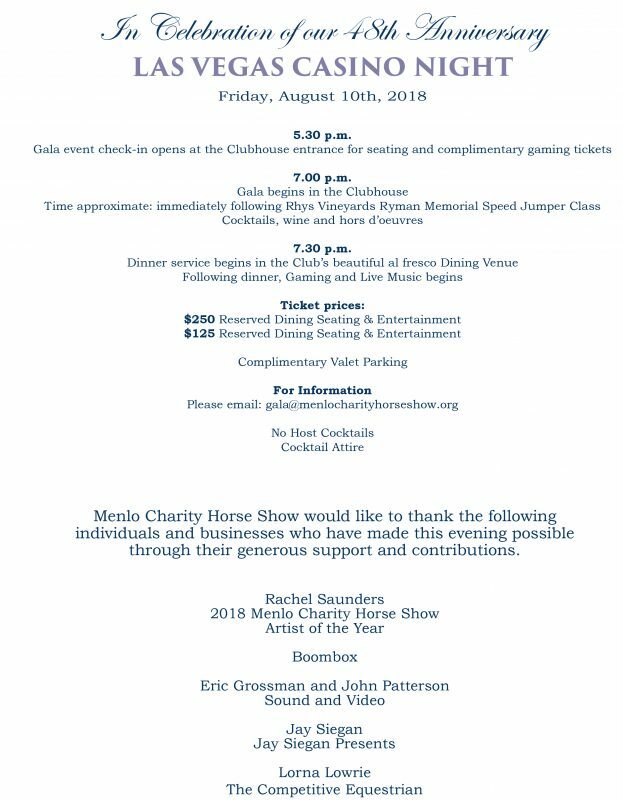 Guests of the 48th Annual Menlo Charity Horse Show Gala will be treated to a Las Vegas Casino Night experience Friday, August 10th at 7pm at the exclusive Menlo Circus Club. The evening will begin with a seated alfresco dining experience followed by casino gaming, auction and live music. Vista Center Fund-A-Need will benefit from both live and silent auctions kicking off the evening’s event. The entertainment will continue as the band entices couples to the dance floor and high rollers take their seats at the casino gaming tables. What could be better than spending an exciting night at the casino mingling with friends all in the name of charity? “Since 1987 MCHS has raised over $6,000,000 for Vista Center. 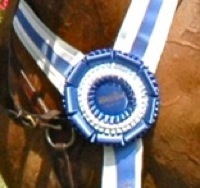 Looking at it annually, the donations from the show represent about 10% of our operating budget. This operating budget allows Vista Center to maintain a headquarters in Palo Alto and directly serve it’s visually impaired community,” explains Pam Brandin, Executive Director, Vista Center for the Blind and Visually Impaired. “This year’s Gala will bring you all the excitement of Las Vegas. After dinner, guests will be welcomed into the clubhouse to try their hand with lady luck at the gaming tables. We have introduced a new ticket level for those who are interested in only attending our after dinner entertainment of casino gaming and dancing. Gaming and Entertainment only tickets will go on sale Monday, July 23rd” said Gala Chair Joanne Joye. New for 2018, two ticket options will be available for this year’s event. 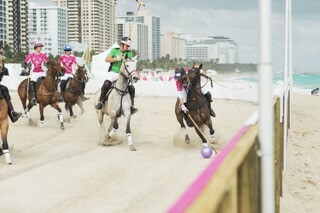 The Gala Dinner and Evening Entertainment Ticket ($250) includes dinner, casino gaming tokens, live music and dancing. The Evening Entertainment Ticket ($125) includes casino gaming tokens, live music and dancing. 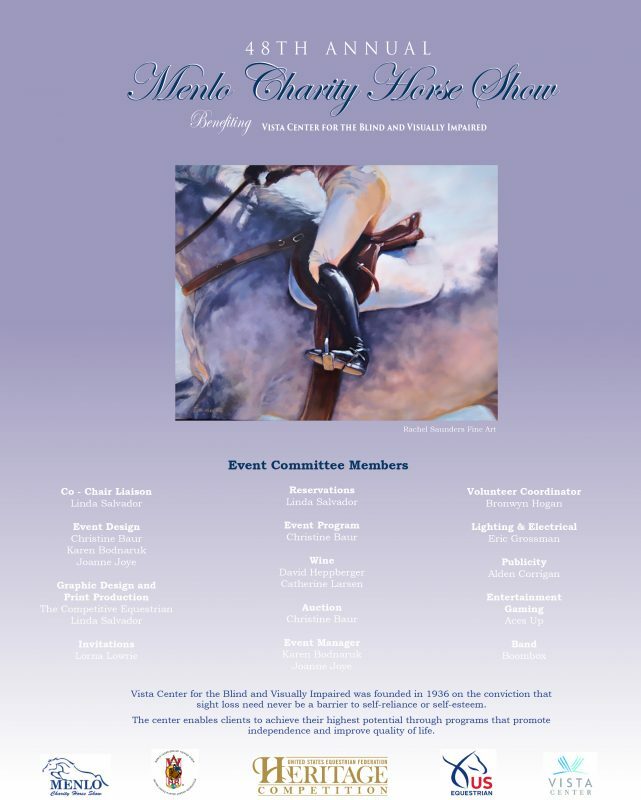 The new Evening Entertainment ticket option will be available for purchase beginning Monday, July 23rd by contacting Gala@MenloCharityHorseShow.org, and may also be purchased at the door the evening of the event. 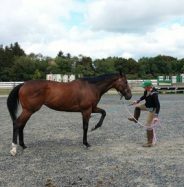 The Gala evening is only one of the many events taking place at this years Menlo Charity Horse Show. 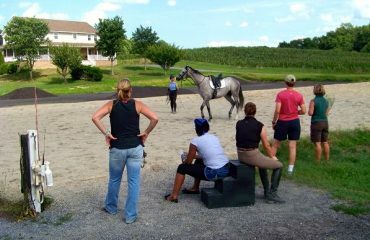 The following calendar will provide assistance in planning your week of equestrian excellence. Hospitality staff serving Village Pub’s Gazpacho Appetizer and Saag’s Sausages. 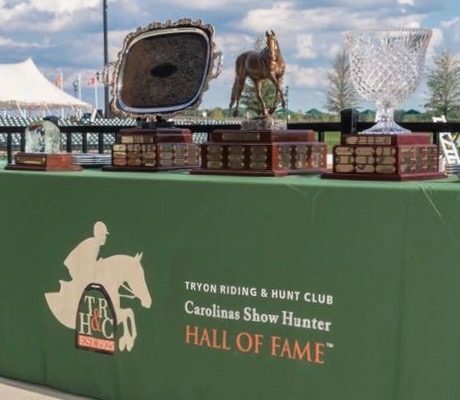 This year’s Friday evening Gala begins in the Clubhouse with cocktails, wine and hors d’oeuvres immediately following the Rhys Vineyards Ryman Memorial Speed Jumper Class. Dine at the Club’s beautiful al fresco venue, followed by an evening of casino gaming, auction and live music. Gala event check-in opens at the Clubhouse entrance at 5:30pm with complimentary valet parking. Seating is limited, so make your reservations early. Underwritten by Don DeFranco in memory of his beloved father, V. James DeFranco, M.D. 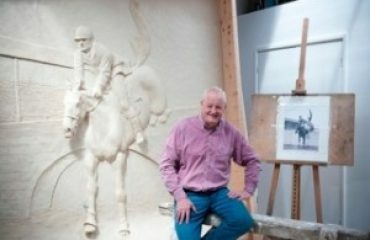 The Menlo Charity Horse Show, a 501(C)(3) organization recognized as a USEF Heritage Competition, benefits Vista Center for the Blind and Visually Impaired by producing a premiere equestrian event while educating the community on the issues of the visually impaired.